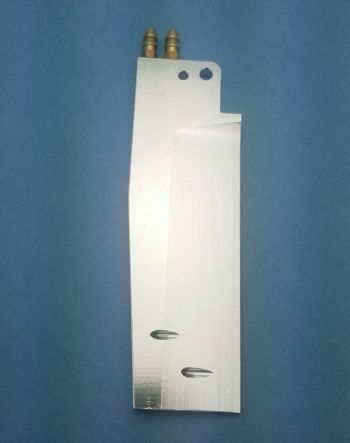 Upgraded rudder blade for TFL Genesis 900, Zonda, Apparition or ProMarine Skater. Wider blade design for better handling. Extra water pickup for added cooling. 110mm from top to bottom. 35mm in width at its widest point. Availible in silver or black anodized color. 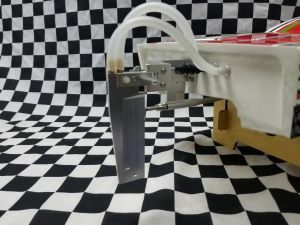 Any of the needed fittings to convert your single pickup rudder to a dual setup. Example, tubing and water inlets and outlets. Picture two shows this installed on a ProMarine Skater(boat is not included).